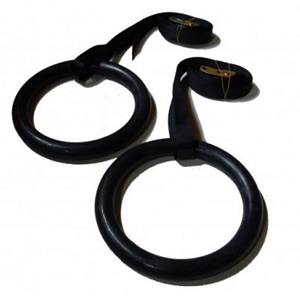 Increase your crossfit or strength training workouts with these authentic wooden gym rings featuring classic gym styling and designed for frequent use. 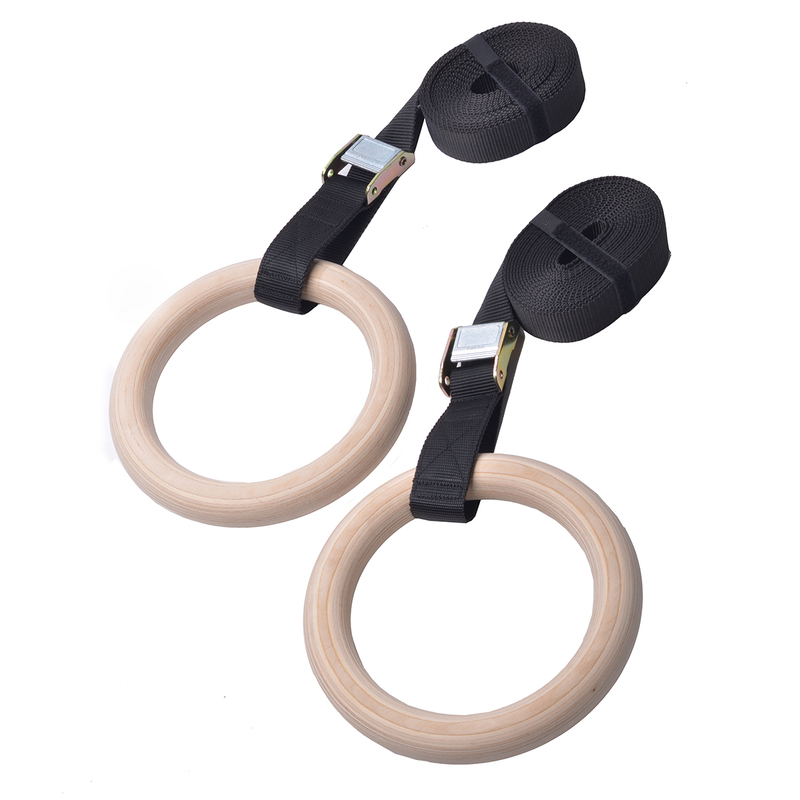 Built to handle Olympic-style exercises, these wood gym rings are perfect for ring dips, muscle-ups, back and front levers, pull-ups, ring rows and more. 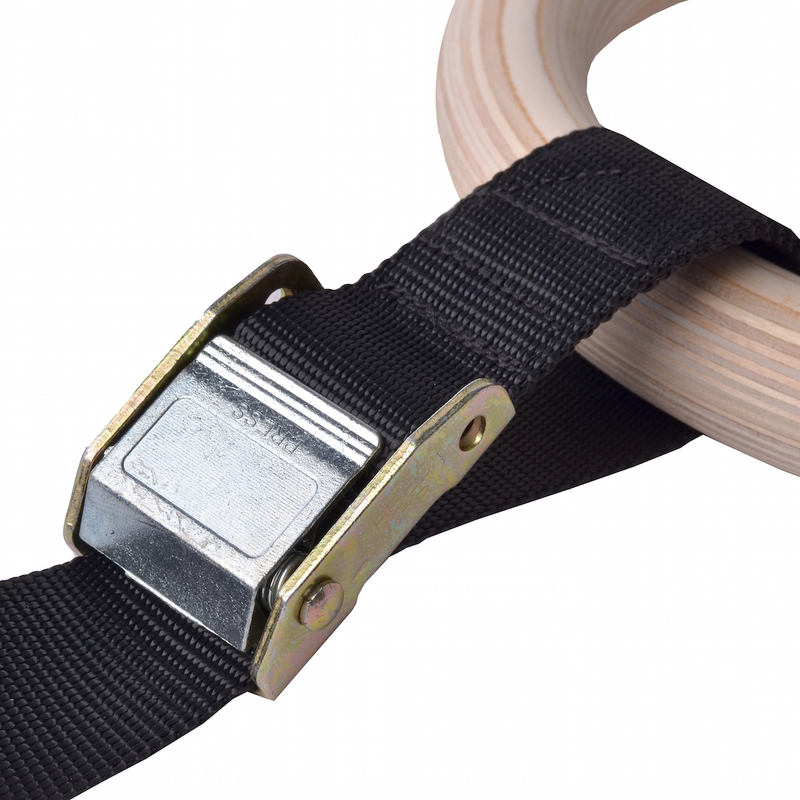 Each set of wooden Gymnastic Rings comes with adjustable black nylon strapping and a durable, adjustable buckle system for hanging the rings from crossfit racking or any strong, stable surface for completing your workouts. Designed for indoor or outdoor use, set them up in a home gym or take advantage of their easy portability to keep them in your workout bag and take with you to a training location of your choice. Please note, however, that wood rings should be stored in a dry place indoors and should not be used in the rain. D8 Fitness Store will use the information you provide on this form to be in touch with you and to provide updates and marketing. Please let us know all the ways you would like to hear from us. We will only send 1 email per week with special offers and discounts available.